She once came close to upbraiding me in an email, quite rightly, and the hint of her stern yet polite manner was exemplary. I no longer recall the problem I was fussing about, but she had nothing to do with it, and I was grateful to her for setting me straight. One thing I learned from that encounter: Shivanee Ramlochan is not someone you lapse with; her conscience is an immaculate thing, and in her poetry, which isn’t easy to grasp on first reading, her use of language is something to behold, because what she does with it shows that her inventing of the poetic line comes from a place of soaring conscience, a place that’s been challenged in ways – by this too-often brutal and immoral island – that force you and seduce you into reading her work reverently. Ramlochan, like all real poets, makes religion unnecessary. She can slap you with her titles – The Abortionist’s Daughter Gives Blood, A Nursery of Gods for My Half-White Child, The Virgin Speaks of What She Endured, Fire, Fire – and with images that glint like cutlass blades in Cedros moonlight. “This is how you survive it. Yet it’s the metaphorical strength of these poems that carry them, beyond the reader’s natural scramble for literality, to where they need to be. Better to read the advice above as a righteous act of rebellion for it’s impossible to read Ramlochan’s book in any basic sense. And if you’re testicular and heterosexual, and not much into thinking and imagination, I urge you to read it only when you’re bereft of even the potential for concupiscence. Try to understand the curse of history poets write against: the acts that people, especially men, commit out of hatred, idleness and a Nazi-like indifference. If only Ramlochan’s lines could lift off the pages, each turning into the right weapon or act of sympathy, and sail out into present day Trinidad…. But so few revolutions work, and work well – and I’d not advise her to stop writing for such banal acts. Yet there’s an intertextual plea here – I think of Neruda, Lorca, Paz, Walcott, Zagajewski, even the later, gentle Gunnar Ekelof among others – for revolution. Every poet wants to change the world or wants the world to change, which is right. They cry out, for human beings come from something else, something we don’t understand or even know, maybe have just begun to know (Cosmic Horror). You get that sense, variously and mystically, reading Ekelof and the others. Ramlochan has it too, but what she also has is the beauty and power of tempered hate. And, I should add, beauty alone. She has chosen to conduct her revolution on the page, and for that her readers are blessed. 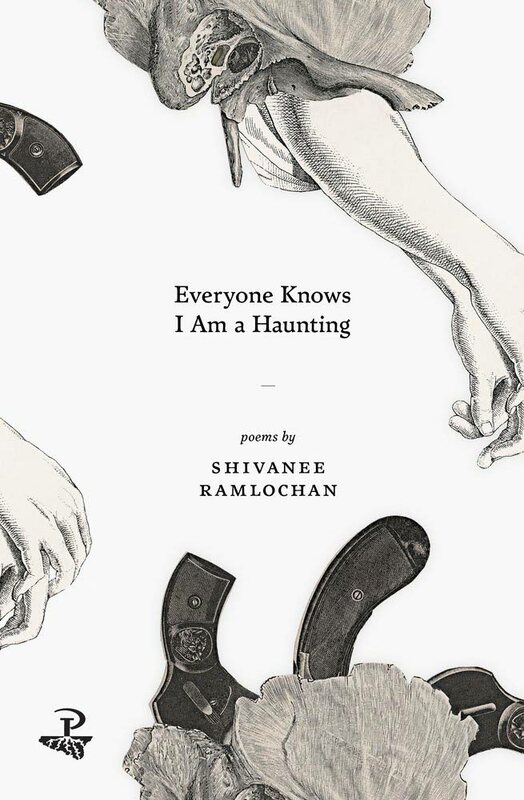 Everyone Knows I Am a Haunting: Poems by Shivanee Ramlochan. Peepal Tree Press, Ltd. Leeds, UK. Reply to "A Dangerous Poet"